This 29 year old woman desired a significant enhancement in her breast size. She chose the underarm approach for insertion of 325cc silicone implants. 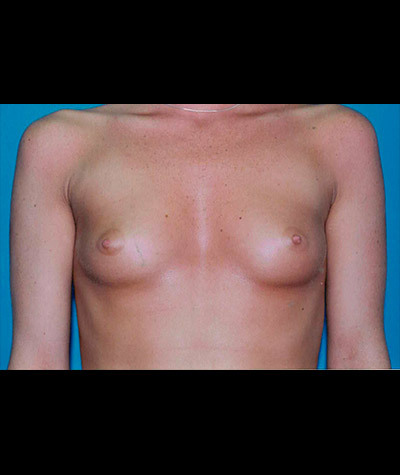 Note that the left breast fold was and remains slightly higher than the right. She is delighted with her enhancement and the fact that there are no scars on her breasts.